Here we go folks. Haley Barbour is setting the Republican spin. We have been seeing this shape up in the past 48 hours. According to Haley Barbour, the GOP’s destruction of conservatives in Mississippi will win this thing tonight. 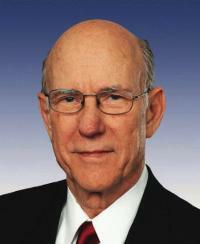 Pay no attention to struggles by folks like Thom Tillis and Sen. Pat Roberts (R-KS)Heritage ActionScorecard Sen. Pat Roberts Senate Republican Average See Full Scorecard93%. Had the GOP not called conservatives racists, everything would be fine. Oh, and never mind how the Democrats, using a lot of Republican rhetoric from Mississippi, are stirring up black voters against the GOP making some races tighter than they should. Republicans will do well on Election Day. The president’s job approval has cratered. The GOP outperforms the President on a host of issues from the economy to handling terror threats. But Washington’s Republican establishment made a conscious decision to find candidates who looked and sounded more like them and less like the Americans whose votes they need. They have provided no alternative and took far longer to close the deal with voters than they should have. It is worth nothing that both the Circle of Jerks in the press corps and the DC GOP Establishment have a vested interest in pushing out this narrative. So by sundown today, this election will not be a repudiation of Barack Obama, but a repudiation of conservatives. The post The Official GOP Establishment Spin: Calling Conservatives Racist Won the Election appeared first on RedState.